วันพฤหัสบดีที่ 07 มกราคม 2016 เวลา 03:36 น. This post is for those of you (us) that just enjoy a good lightsaber duel and the sporadic high-speed car chase through space. 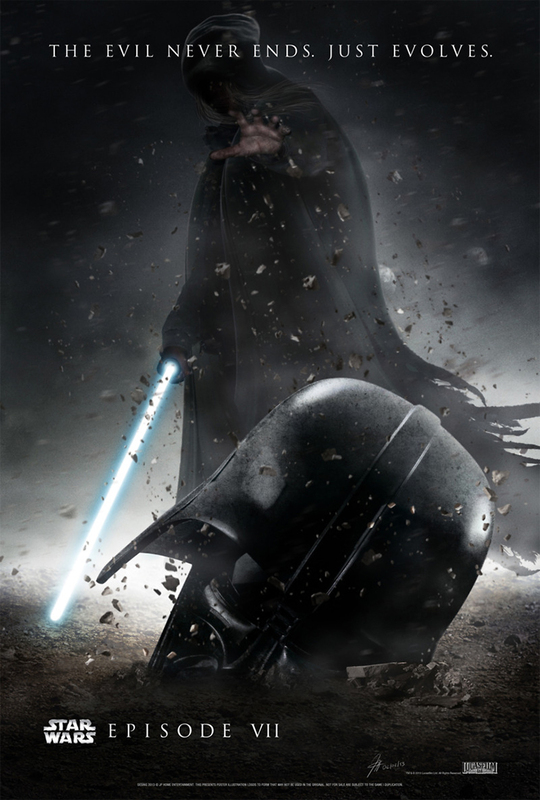 Here are 10 things you should know before you go watch Episode VII. 1. You don’t need to have seen any of the prequels. The Star Wars franchise was rebooted once before in the late ’90s and early 2000s with three movies not a whole lot of people liked. Hayden Christensen was in a couple. Forget about those. You don’t really need them. Though watching them wouldn’t hurt. Samuel L. Jackson played Mace Windu, and there was this really cool villain named Darth Maul. There was also this super-annoying character named Jar Jar Binks. We never need to talk about him again. 2. The Empire is gone. It was toppled by Ewoks. This is perhaps my favorite Star Wars fact. 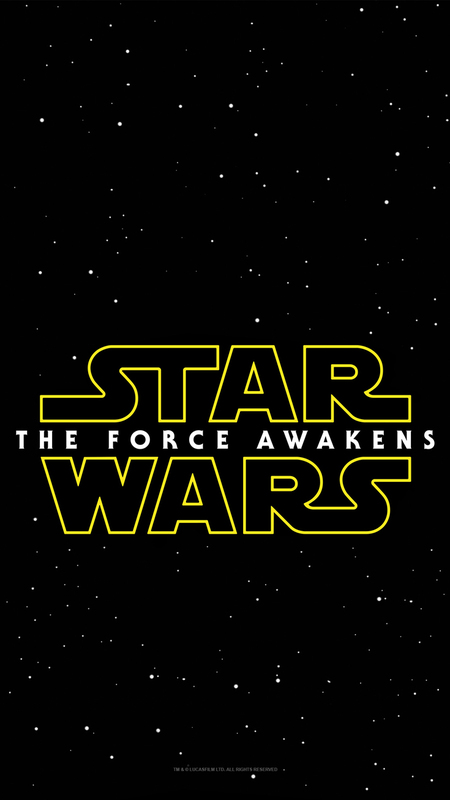 The Force Awakens takes place after Return of the Jedi, which came out in 1983. A lot of stuff happened, but what you need to know is that The Empire – the all-powerful, fascist galactic government – was brought to its knees at the Battle of Endor by these adorable, fuzzy little creatures called Ewoks, who were armed only with slingshots. Force Awakens takes place 30 years after this battle, which was a pretty big deal, so you should probably definitely know about it. 3. 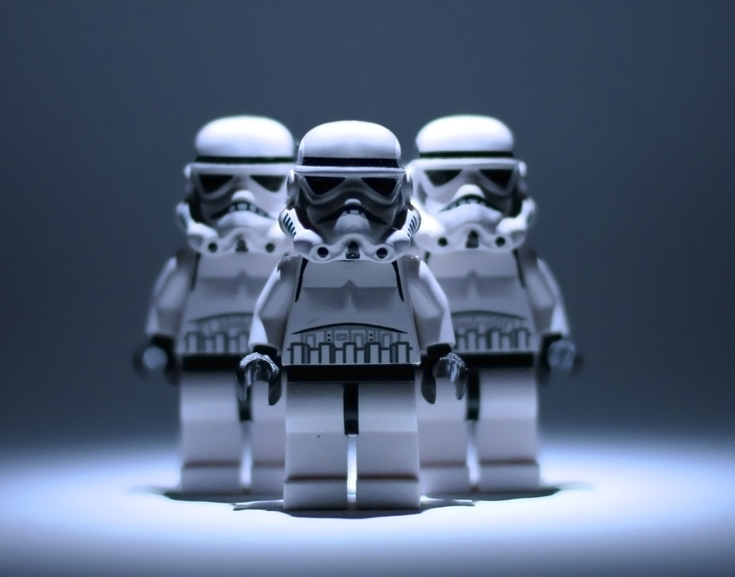 The bad guys in Force Awakens? Those guys are called the First Order. The First Order is this political and military junta that came into power after the Battle of Endor, inspired by the principles of the Galactic Empire and hell-bent on controlling the galaxy. So basically The First Order is “The Empire: The Remix.” Their forces are led by Kylo Ren, a mercenary that isn’t technically a Sith but looks awful Sith-like with his big, red, broadsword lightsaber and his matte black gas mask. 4. Even though Darth Vader is dead, Darth Vader still matters. Firstly, if you’ve never lowered your voice a few octaves and bellowed “Luke, I am your father” into a desk fan, I can’t trust you. But if you don’t know who Darth Vader is, you should know about him. 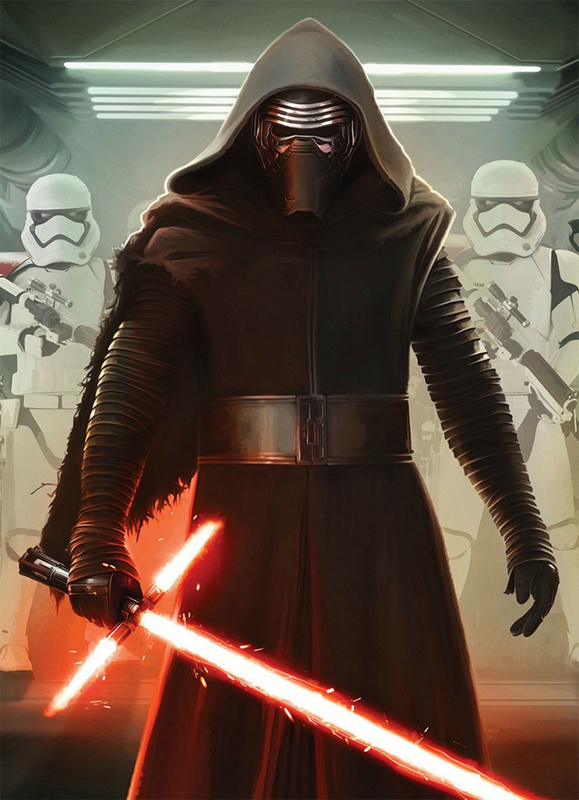 Our new villain Kylo Ren also has a massive fixation on Vader, even though Vader was dead long before he was born. In the original Force Awakens trailer, Ren breathily says he’s going to finish what Vader started while ogling his melted helmet. In short, it’s going to be a thing. Vader was The Empire’s attack dog, and the original trilogy’s biggest villain. I mean that literally. He stood over seven feet and force-choked people a lot. He was also Luke Skywalker and Leia Organa’s father, and had a huge Come to Jesus moment right before his death. All of these things are going to be important. 5. You should also know about Luke Skywalker. As Darth Vader was the original trilogy’s biggest villain, Luke Skywalker was its main protagonist. Luke Skywalker was plucked off of this remote planet and trained up to become the most important Jedi ever. He traveled the galaxy, unknowingly made out with his sister, found out his greatest nemesis was also his father, and lost his right hand. 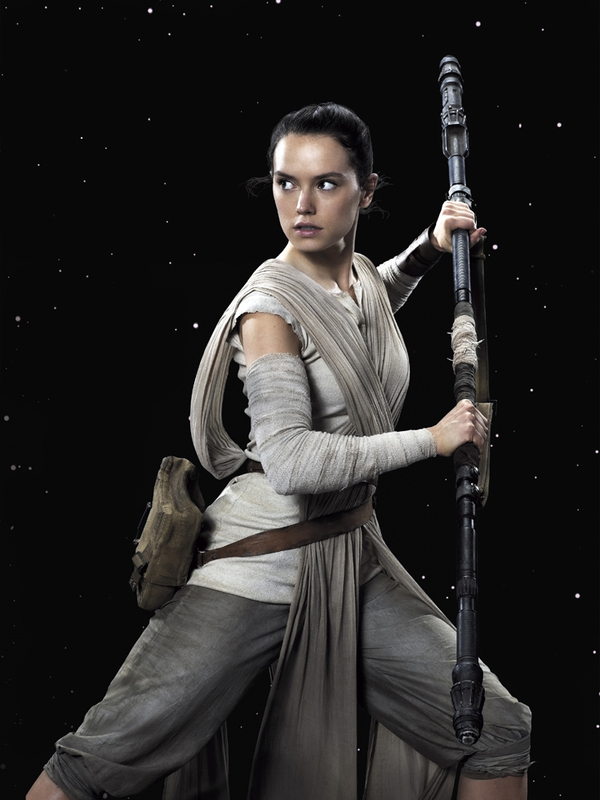 One of the biggest rumors about Force Awakens is that Luke is the father of one of the main characters, Rey (Daisy Ridley). So be on the lookout for that. 6. If you want to fit in, you need to care about what happens with Leia and Han Solo. The will-they-won’t-they-oh-they-did love story between Han Solo and Leia was the biggest of the original trilogy, but it looks like they might’ve broken up in the intervening time between Return of the Jedi and Force Awakens. If they did, that’s going to be a gut-punch to everyone else in the theater. You might not care, but just like hearing about your friend’s most-recent failed relationship for the millionth time, you’re going to have to at least act like it’s killing you too. 7. THE MILLENNIUM FALCON IS BACK. Sorry, I didn’t mean to yell. But this beloved, complete piece of crap from the original trilogy is back and flying through the sky, dodging Tie Fighters. It’s piloted by an older, more seasoned and less skeptical Han Solo (Harrison Ford) and his still-large, still-furry friend Chewbacca. This one is just about impossible to explain if you haven’t seen the original movies, but it’s a big deal, I promise. It might also blow up though, so don’t get too attached. 8. You’re going to need to know what “The Force” is, obviously. It’s in the title, and either Finn (John Boyega), Rey, or both are going to end up wielding it before the movie’s over, so you should know what The Force is. The complicated explanation is that in this alternate universe there are these microscopic thingies within the cells of all living beings called midichlorians. How many midichlorians you have in your blood stream determines your ability to use the Force. Having a high midichlorian count doesn’t necessarily make you any better than anyone else, but it kind of does, really. If you don’t have one – a high midichlorian count, that is – then you don’t get a lightsaber and can’t jump impossibly high or move stuff around without touching it. There are also Light and Dark Sides to the Force. Those on the Light side are called Jedi. They have lightsabers that are mostly on the cool side of the colorwheel. Those on the Dark side are called Sith. They have red lightsabers and red lightsabers only. Each one tries to destroy the other one and there’s this larger theme about how they balance each other out, but forget about all of that. You’re rooting against the Dark Side, or you’re a bad person. 9. This movie is going to be HUGE. 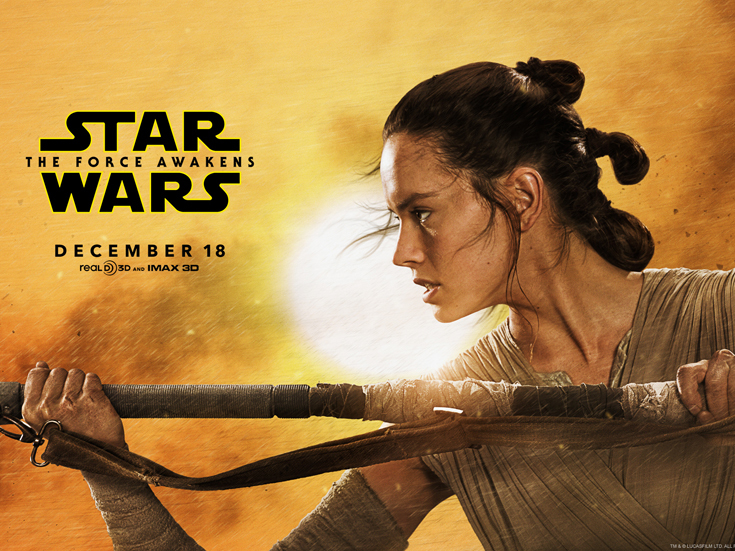 Force Awakens is expected to smash box office records. I’m talking $2 billion in projected worldwide box office sales. Add to that the obscene amount of money to be made off of merchandise, and we’re looking at $9.6 billion, according to Bloomberg. 10. But manage your expectations … or don’t. 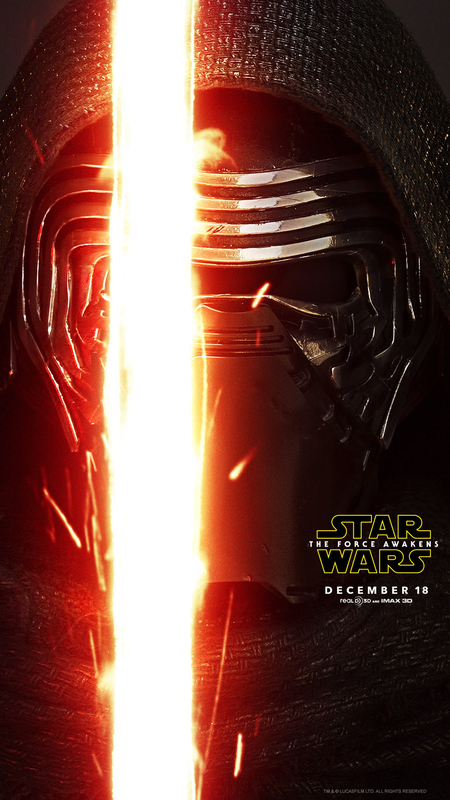 Like most much-hyped movies, it’s a possibility that Force Awakens might not be all that good. I mean, it’s a small possibility, but it’s a possibility nonetheless. You can try to remember that if you want. Or you can not. Get dressed up, paint your face green, and line up to see it at midnight, if that’s your thing. Star Wars is an American epic space opera franchise, centered on a film series created by George Lucas. 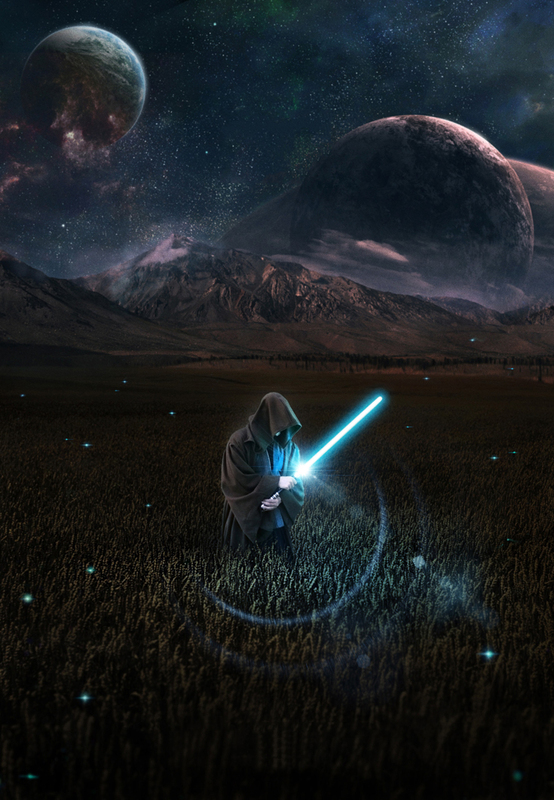 It depicts the adventures of various characters "a long time ago in a galaxy far, far away." The first film in the series, Star Wars (later subtitled Episode IV: A New Hope), was released on May 25, 1977 by 20th Century Fox and became a worldwide pop culture phenomenon. It was followed by the similarly successful sequels The Empire Strikes Back (1980) and Return of the Jedi (1983); these three films constitute the original Star Wars trilogy. A prequel trilogy was later released between 1999 and 2005, which received a more mixed reaction from critics and fans, compared to the original trilogy. All six films were nominated for or won Academy Awards, and were commercial successes, with a combined box office revenue of $4.38 billion, making Star Wars the fifth-highest-grossing film series. The series has spawned an extensive media franchise—the Star Wars expanded universe—including books, television series, computer and video games, and comic books, resulting in significant development of the series's fictional universe. Star Wars also holds a Guinness World Records title for the "Most successful film merchandising franchise." In 2012, the total value of the Star Wars franchise was estimated at USD $30.7 billion, including box-office receipts as well as profits from their video games and DVD sales. Star Wars: The Force Awakens is a 2015 American epic space opera film directed, produced, and co-written by J. J. Abrams. The seventh installment in the main Star Wars film series, it stars Harrison Ford, Mark Hamill, Carrie Fisher, Adam Driver, Daisy Ridley, John Boyega, Oscar Isaac, Lupita Nyong'o, Andy Serkis, Domhnall Gleeson, Anthony Daniels, Peter Mayhew, and Max von Sydow. 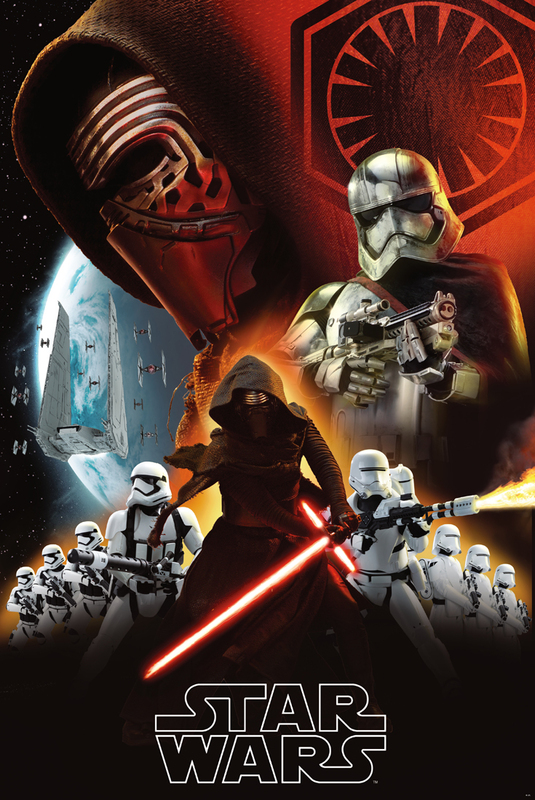 Produced by Lucasfilm and Abrams' Bad Robot Productions and distributed worldwide by Walt Disney Studios Motion Pictures, The Force Awakens is set about 30 years after Return of the Jedi, and follows Rey, Finn, and Poe Dameron's fight with the Resistance, led by veterans of the Rebel Alliance, against Kylo Ren and the First Order, which descended from the Galactic Empire. The Force Awakens is the first film in the Star Wars sequel trilogy announced after Disney's acquisition of Lucasfilm in October 2012. 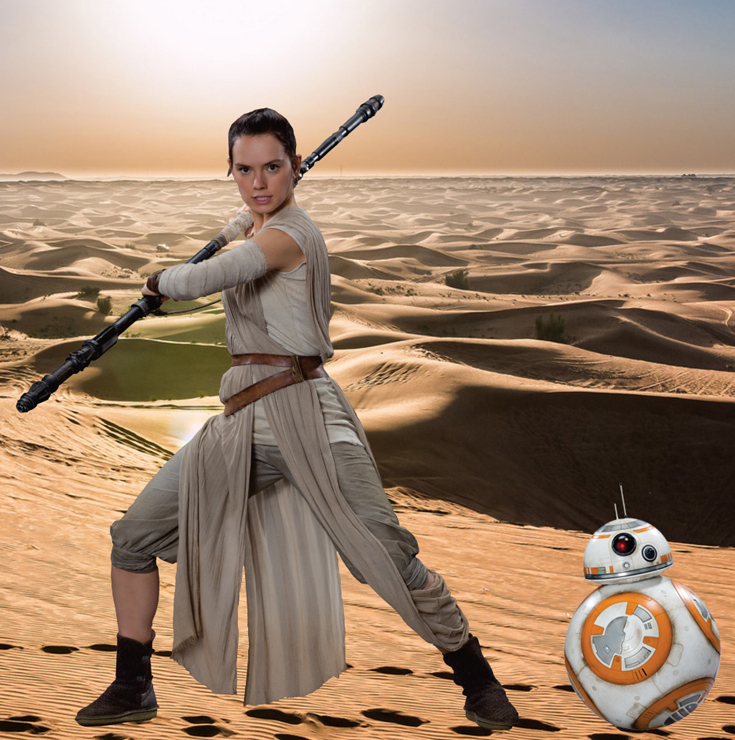 The film is produced by Abrams, his long-time collaborator Bryan Burk, and Lucasfilm president Kathleen Kennedy. Abrams and Lawrence Kasdan, co-writer of the original trilogy films The Empire Strikes Back (1980) and Return of the Jedi (1983), rewrote an initial script by Michael Arndt. John Williams, composer for the previous six films, returned to compose its score. Star Wars creator George Lucas served as creative consultant during the film's early production stages. Filming began in April 2014 in Abu Dhabi and Iceland, with principal photography also taking place in Ireland and Pinewood Studios in England. This is the first live-action film in the franchise since Revenge of the Sith, released in 2005. 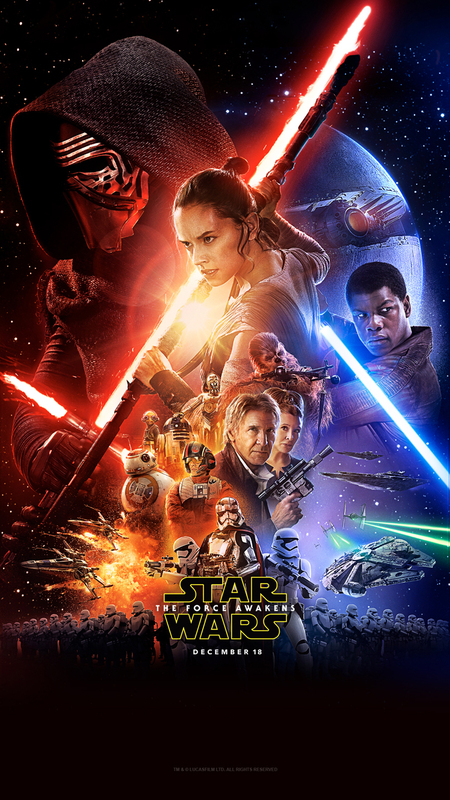 The Force Awakens premiered in Los Angeles on December 14, 2015, four days before its release in North America. Critics compared it favorably to the original trilogy, praising its action sequences, characters, acting, special effects, musical score and emotional drama, though some criticized it as derivative. Disney backed the film with an extensive marketing campaign; it has broken many box office records, including the highest-grossing worldwide opening of all time and the fastest film to reach $1 billion. It has become the highest-grossing installment of the franchise, the highest-grossing film in North America, and the third highest grossing film of all time with a worldwide gross of more than $2 billion. It received five Academy Award nominations and four British Academy Film Award nominations, where it won Best Special Visual Effects.Two sequels, Episode VIII and Episode IX, are scheduled for release on May 26, 2017 and in 2019, respectively. Rian Johnson confirmed in August 2014 that he would direct Episode VIII. It is scheduled for release on December 15, 2017. Some second-unit filming took place in September 2015 in Ireland, with principal photography beginning in February 2016 at Pinewood Studios. Hamill, Fisher, Driver, Ridley, Boyega, Isaac, Nyong'o, Gleeson, Daniels, Christie, Serkis, and Mayhew reprise their roles in the film, and are joined by Benicio del Toro, Laura Dern and Kelly Marie Tran. 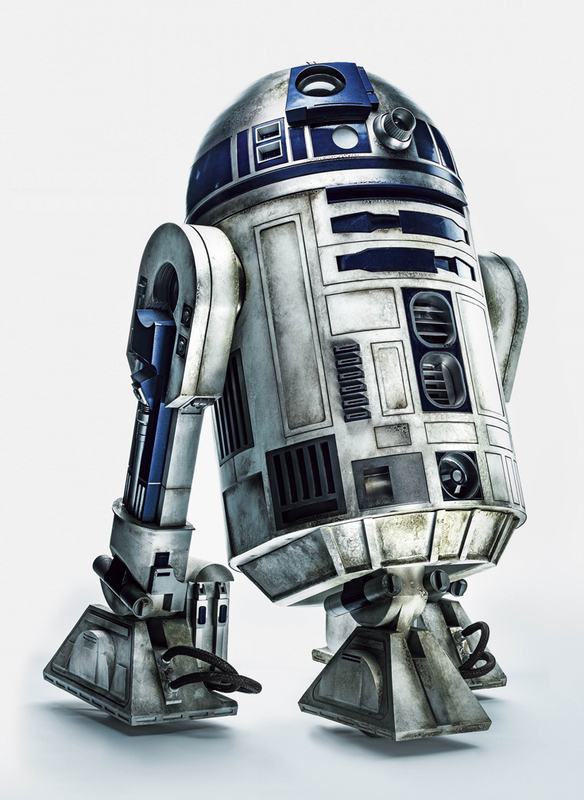 Jimmy Vee will replace Baker as R2-D2. Approximately 30 years after the destruction of the second Death Star, Luke Skywalker, the last Jedi, has disappeared. 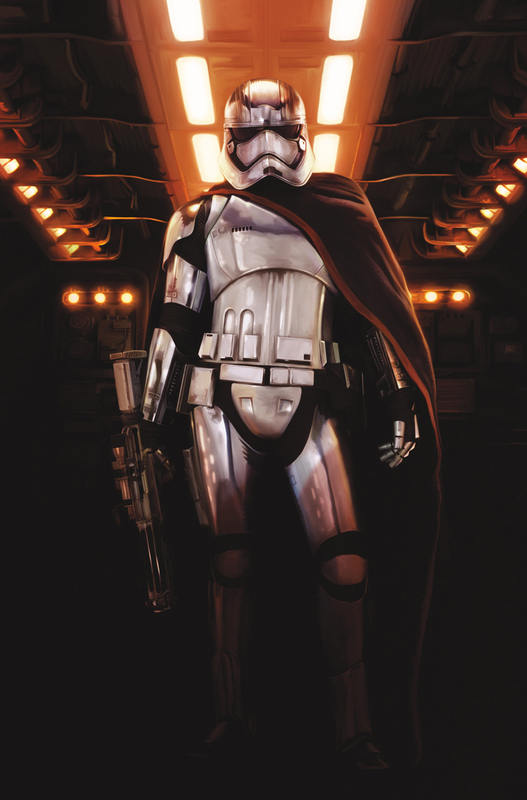 The First Order has risen from the fallen Galactic Empire and seeks to eliminate Luke and the Republic. 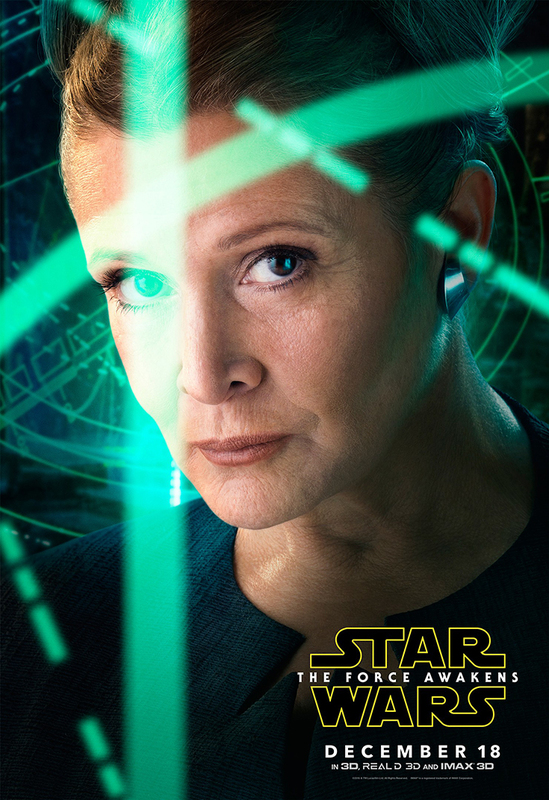 The Resistance, backed by the Republic and led by Luke's twin sister, General Leia Organa, opposes them while searching for Luke to enlist his aid. Resistance pilot Poe Dameron meets village elder Lor San Tekka on the planet Jakku to obtain a map to Luke's location. 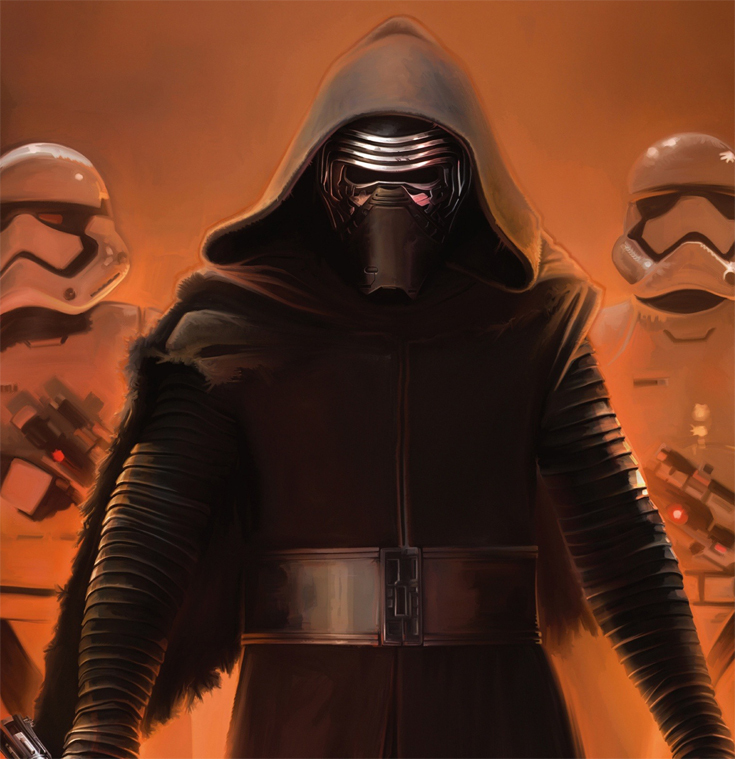 Stormtroopers under the command of Kylo Ren destroy the village and capture Poe. 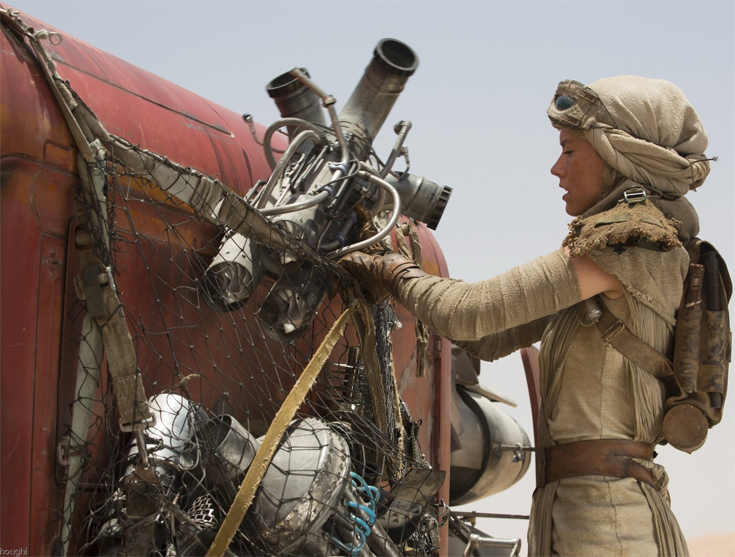 Poe's droid BB-8 escapes with the map, and encounters a scavenger, Rey, at a junkyard settlement. Ren tortures Poe and learns of BB-8. Stormtrooper FN-2187, unable to kill for the First Order, frees Poe and they escape in a stolen TIE fighter; Poe dubs FN-2187 "Finn". They crash on Jakku, and Finn appears to be the only survivor. He encounters Rey and BB-8, but the First Order tracks them and launches an airstrike. They flee the planet in a stolen, rundown ship, the Millennium Falcon. The Falcon breaks down, and is captured by a much larger ship, piloted by Han Solo and Chewbacca, who reclaim their former vessel. Gangs seeking to settle debts with Solo board the ship and attack, but the five escape in the Falcon. The criminals inform the First Order of Han's involvement. At the First Order's Starkiller Base, a planet converted to a superweapon capable of destroying star systems, Supreme Leader Snoke orders General Hux to use it for the first time. Snoke also questions Ren about the involvement of his father, Han Solo; Ren protests that Han means nothing to him. The Falcon crew view BB-8's map and determine it is incomplete. Han explains that Luke tried to rebuild the Jedi Order but went into exile after an apprentice turned to the dark side and destroyed all that Luke had built. 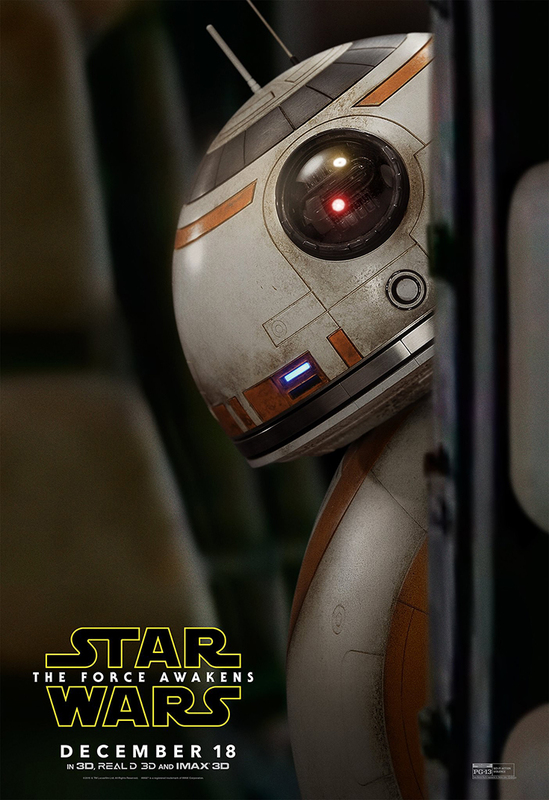 They travel to the planet Takodana and meet with cantina owner Maz Kanata, who can help BB-8 reach the Resistance, but Finn wants to flee on his own. 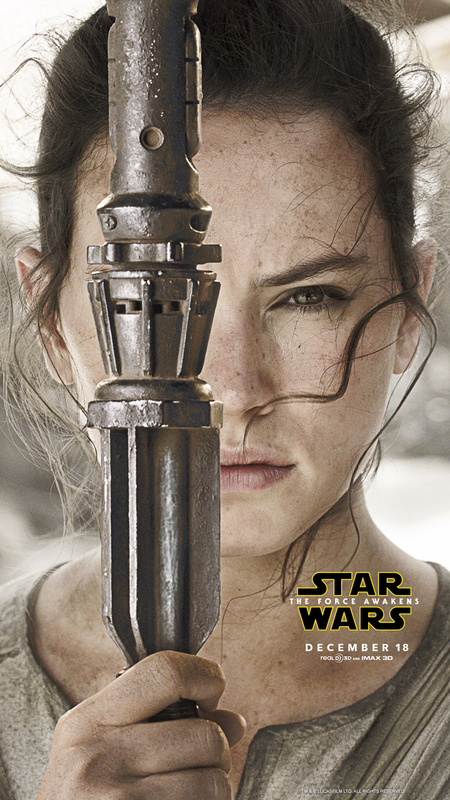 Rey is drawn to a vault and finds the lightsaber that belonged to Luke and his father Anakin Skywalker before him. She experiences disturbing visions and flees into the woods. Maz gives Finn the lightsaber for safekeeping. Starkiller Base destroys the Republic capital and fleet. The First Order attacks Takodana in search of BB-8. Han, Chewbacca, and Finn are saved by Resistance X-wing fighters led by Poe, but Rey is captured by Ren and taken to Starkiller Base. Ren interrogates Rey about the map, but she resists his mind-reading. Discovering she, too, can use the Force, she escapes her cell with a Jedi mind trick. 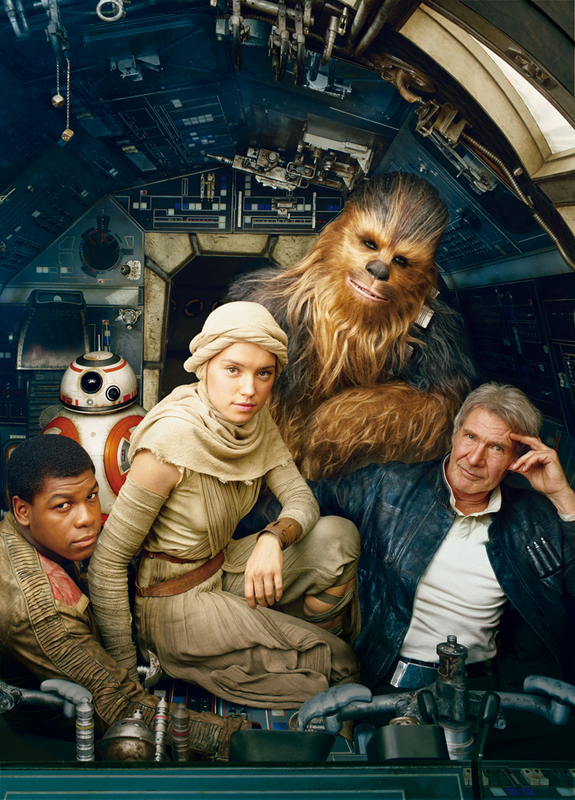 Leia arrives at Takodana with C-3PO and reunites with Han and Chewbacca. 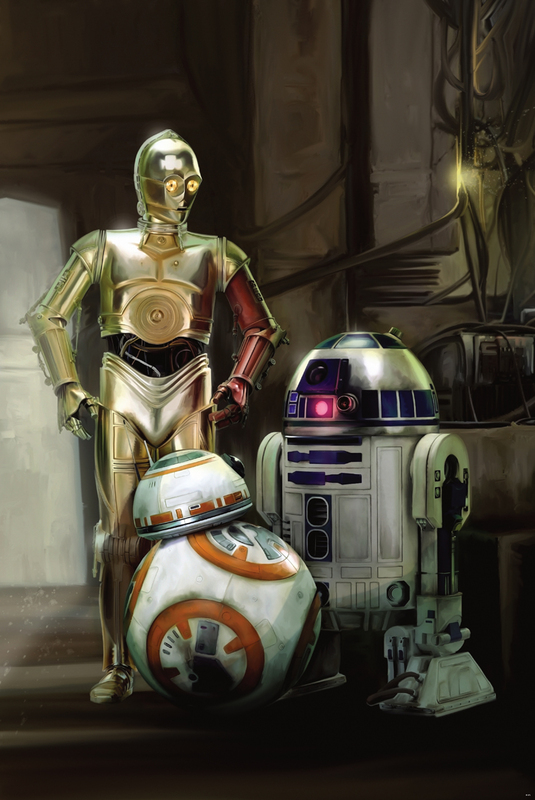 At the Resistance base on D'Qar, BB-8 finds R2-D2, who has been inactive since Luke's disappearance. As Starkiller Base prepares to fire on D'Qar, the Resistance devises a plan to destroy it by attacking a critical facility. Leia urges Han to return their son alive. Using the Falcon, Han, Chewbacca, and Finn infiltrate the base. They lower its shield, find Rey, set explosives, and encounter Ren. 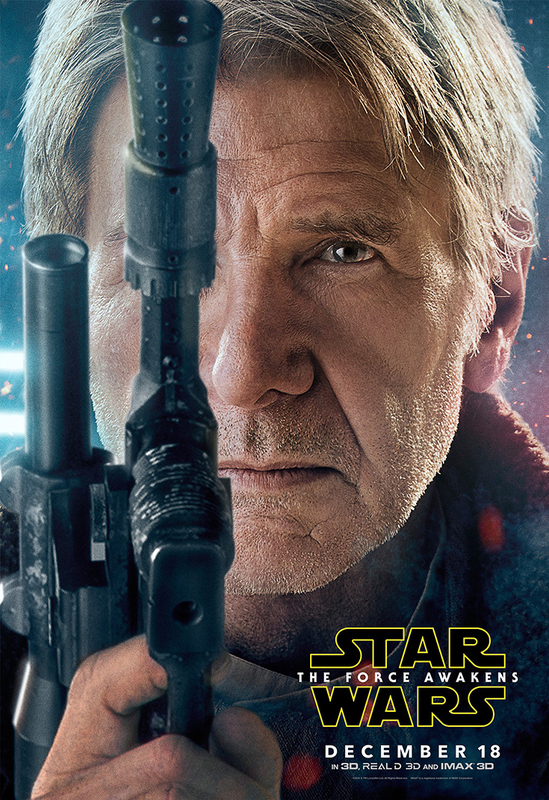 Han confronts Ren, calling him by his birth name, Ben, and implores him to abandon the dark side. Though conflicted, Ren kills Han. Enraged, Chewbacca shoots Ren in the side and sets off the explosives, allowing the Resistance X-wing fighters to attack and start a chain reaction that destroys Starkiller Base. The injured Ren pursues Finn and Rey to the surface. 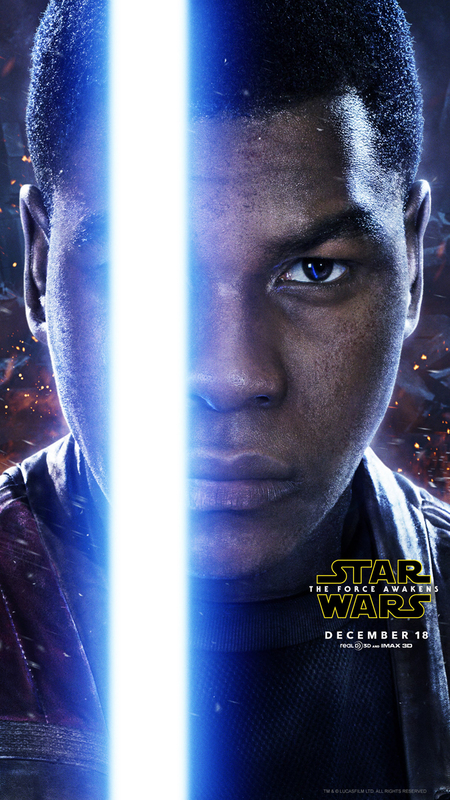 Finn battles Ren with the lightsaber, but is overpowered and badly wounded. 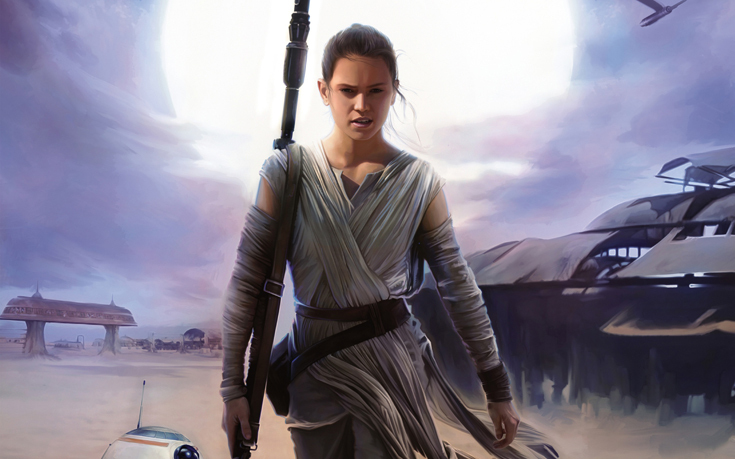 Rey takes the lightsaber and fights Ren, overpowering him with the Force before they are separated by a fissure. Snoke orders Hux to evacuate and bring Ren to him, while Rey and Chewbacca escape with Finn in the Falcon. On D'Qar, the Resistance celebrates while Leia, Chewbacca, and Rey mourn Han's death. R2-D2 awakens and reveals the rest of the map, which Rey follows with R2-D2 and Chewbacca to an island on a distant planet. She finds Luke and presents him with his lightsaber. 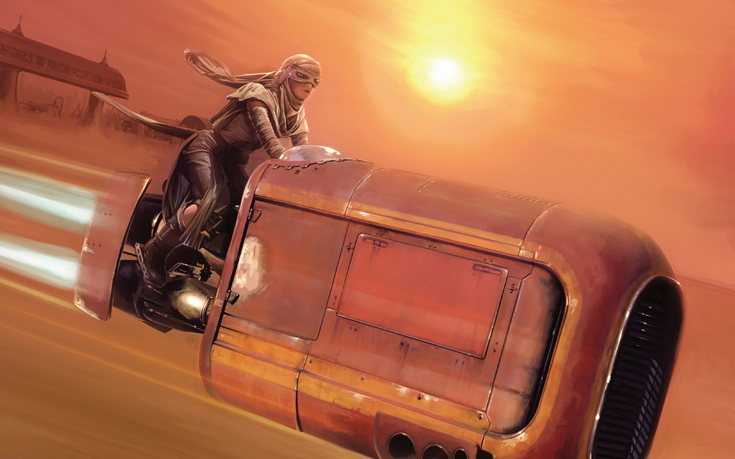 Rey's speeder was made entirely from scratch by Rey while she was living on her homeworld of Jakku. It was created using scavenged parts from the starship graveyard on Jakku, Niima Outpost, or from parts acquired from Teedo traders. 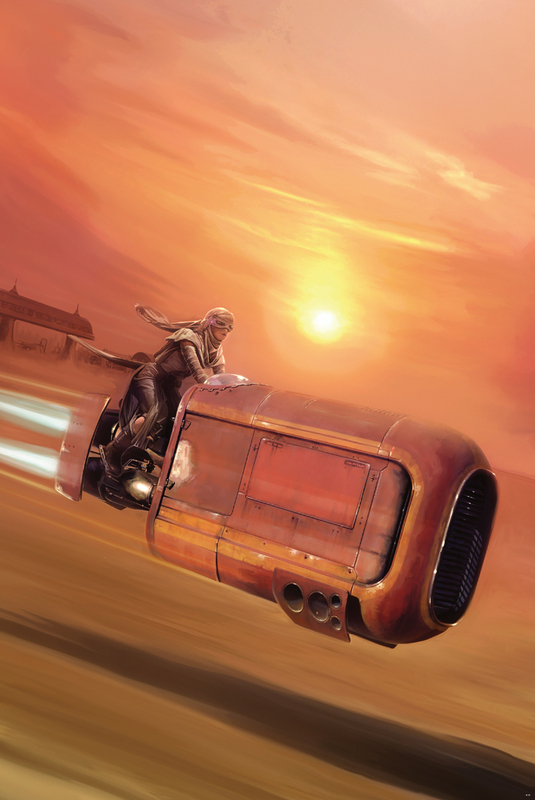 Rey built a vehicle combining the characteristics of a speeder and a swoop, making the most out of scavenged military hardware and civilian machinery. 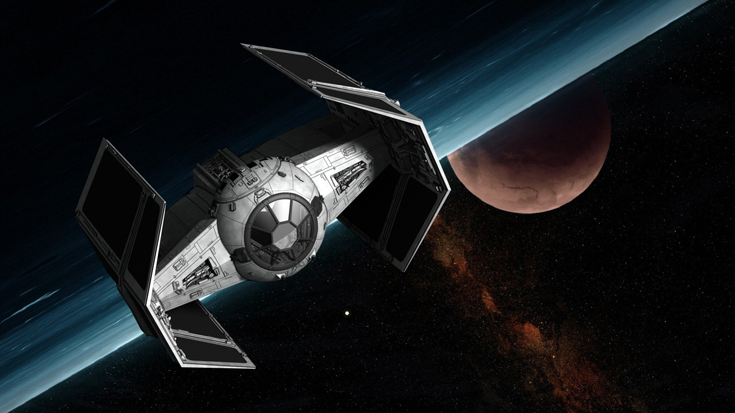 The speeder was extremely fast and could carry a heavy load, making it ideal for long-range scavenging trips. Of all the mysteries in Star Wars: The Force Awakens, few have generated as much discussion as the one surrounding the identity of Supreme Leader Snoke. Seen only in giant hologram form, Snoke is the classic “maneuvering behind the scenes” Star Wars villain, cut from a similar mold as Emperor Palpatine in the original and prequel trilogies. With 30 years between Return of the Jedi and Snoke’s first on-screen appearance, it leaves a large gap in our knowledge of the new character, which of course leaves us free to wildly theorize in the meantime. What we do know so far is that Snoke is a Force user of some kind, he turned Kylo Ren against Han, Leia, and Luke, he’s been around for a long time, and is horribly disfigured. 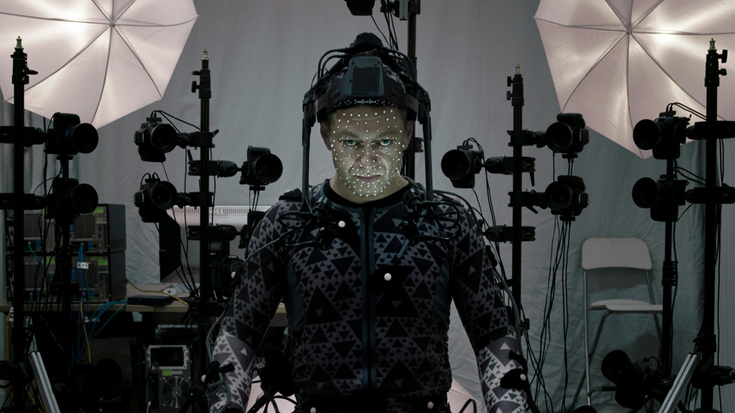 Andy Serkis, who did all the motion capture and voice work for Snoke, cryptically told Entertainment Weekly, “Obviously he has a huge agenda. He has suffered a lot of damage… there is a strange vulnerability to him, which belies his true agenda.” We obviously know little about what that agenda may be, but we certainly have some thoughts as to his true identity. For anyone who doesn’t remember, Darth Plagueis was the Sith lord who trained Emperor Palpatine and was brought up briefly in the prequel trilogy. In terms of the Star Wars canon, Plagueis possessed the power to bring his loved ones back from the dead, before his eventual betrayal and death at the hands of Palpatine. Things only more get confusing from there; Lucasfilm had originally commissioned an expanded universe novel explaining Plagueis’s origin as a Muun (the species known as the leaders of the Banking Clan), his behind-the-scenes role in the original trilogy, and his responsibility for accidentally triggering the virgin birth of Anakin Skywalker. 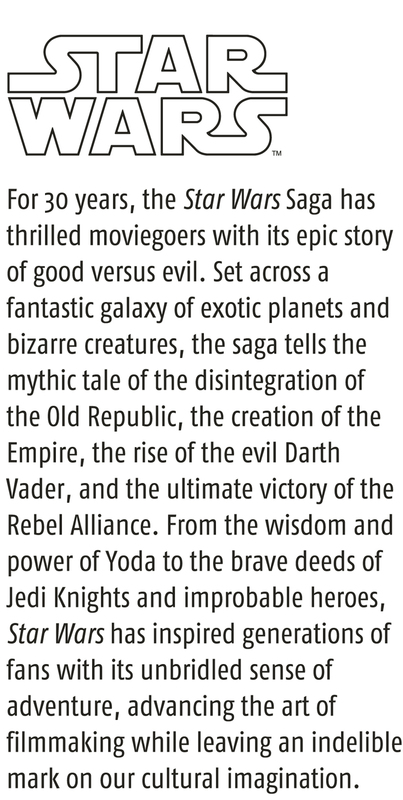 As we know though, the original expanded universe novels are no longer canon, leaving us largely in the dark as to who Plagueis was past what we were told in Revenge of the Sith (which, incidentally, was very little). 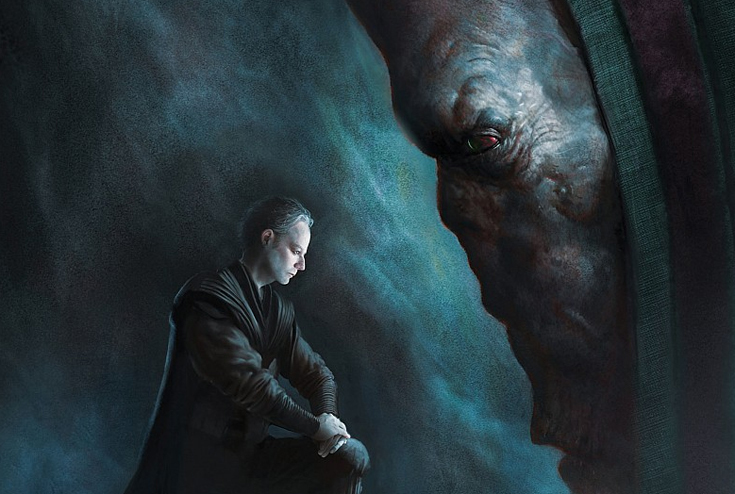 It seems like no coincidence that Snoke looks a lot like early artist renderings of Plagueis. There’s also a certain poetry to bringing a character who’s been around since the beginning of the Star Wars timeline back full circle. It would seem odd to tease at a mysterious, faceless informant in the new canon Aftermath novel, only to have him not play an integral role later on down the road. Additionally, “The Operator” and Plagueis certainly don’t have to be mutually exclusive: Snoke could very well end up being both when it’s all said and done. Disney’s Star Wars: Rebels cartoon series introduced a whole load of new canon to fans, chief among them the presence of the Empire’s Force-trained Inquisitors, tasked with hunting down and destroying the remnants of the Jedi Order. 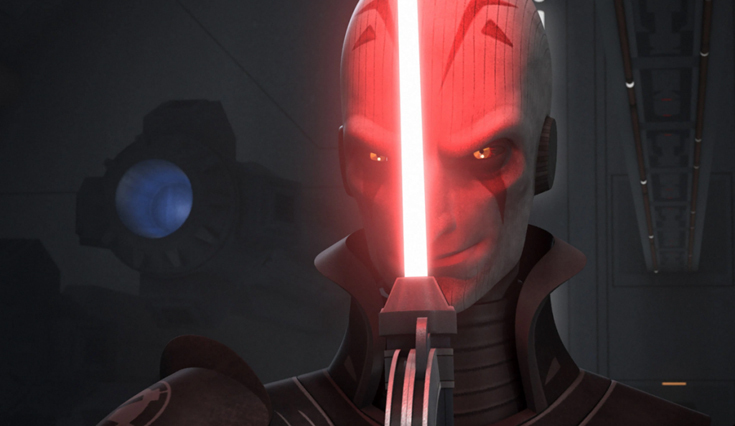 The Grand Inquisitor, voiced by the always-ominous Jason Isaacs, would make an interesting fit for the true identity of Snoke. He fell to his death after an ill-fated duel with former Jedi Padawin Kanan Jarrus, but as we all know, death is rarely permanent in major franchises. What’s even more intriguing are the Grand Inquisitor’s final words: “You have no idea what you’ve unleashed here today. 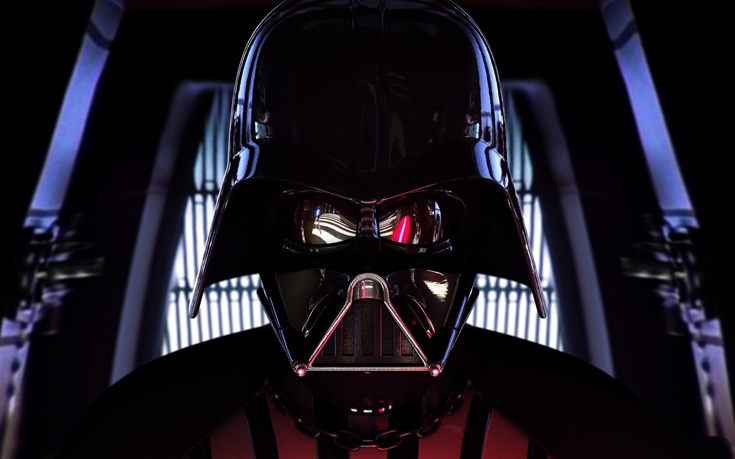 There are some things far more frightening than death.” Showrunner Simon Kinberg has long teased at an eventual connection between Rebels and the new trilogy. Could the Grand Inquisitor’s warning be a foreshadowing of that connection, and more specifically, a hint at a return as Supreme Leader Snoke? It would be a little bit of a stretch, but the physical resemblance and cryptic final words don’t seem unintentional. If we’re going to talk about bringing characters back full circle, we’d be remiss in not bringing up Darth Bane. 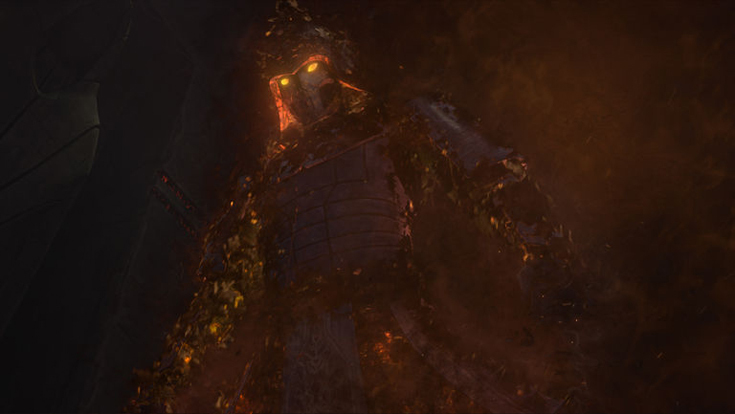 Bane’s only canonical appearance in the Star Wars saga came in the Clone Wars cartoon series finale (above), when Yoda battled his ghost on the Sith homeworld of Moraband. Historically, he’s an ancient Sith Lord responsible for devising “The Rule of 2,” declaring that the Sith must only ever have one master and one apprentice at all times. Bringing Bane back as a resurrected Force ghost would be digging deep into the canon, pitting our heroes against the most formidable evil the Star Wars universe has to offer. For all our theorizing, there’s still a distinct possibility that Supreme Leader Snoke is a new creation entirely. The best evidence supporting this comes from Andy Serkis himself in the aforementioned EW interview, where he matter-of-factly states, “he’s a new character in this universe.” If you’re someone who takes statements like that at face value, it wouldn’t be a stretch to believe Serkis’s claim. That being said, it’s not beyond Lucasfilm to pull a bait-and-switch on us. Whoever Snoke is though, the revelation of his identity will likely be one of the biggest moments in the new trilogy. 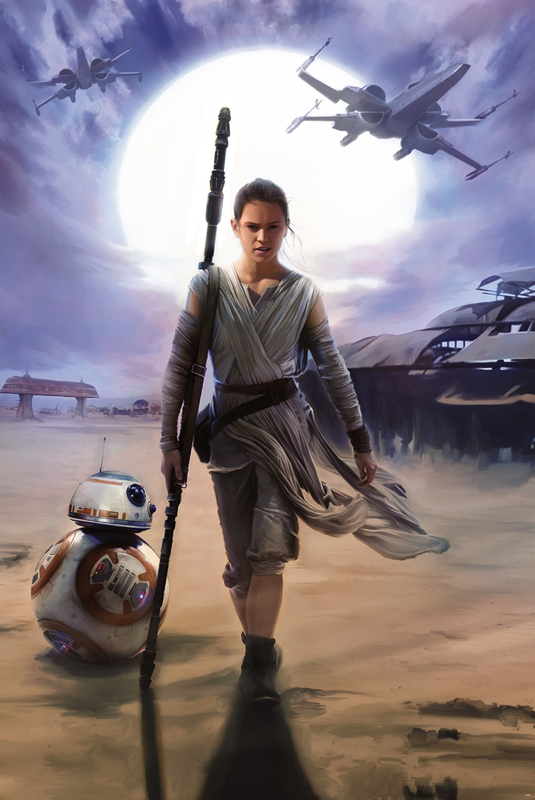 Star Wars : The Force Awakens launches audiences into a new era of storytelling. A New Republic holds sway over a civilized galaxy. 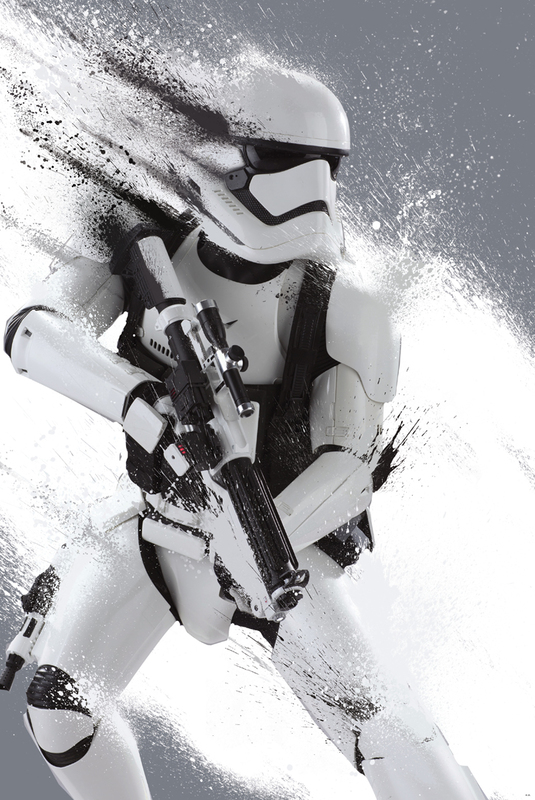 In the depths of uncharted space, the next evolution of the Empire - the First Order - stands ready to unleash destruction on an unsuspecting target. The Resistance, outnumbered and underequipped, is all that stands in its way. Absent from the galactic stage are the Jedi Knights - Luke Skywalker is missing when the galaxy seems to need him the most. It falls to a new generation of heroes to rise and rekindle the power of the Force. The gap of 30 years since the events of Return of the Jedi invites endless speculation as to what has happened since that triumph of the Rebel Alliance over the evil Galactic Empire. How has the galaxy reshaped itself? Who are the players in this latest struggle for power? What has become of the legends of the past and who are the new heroes of tomorrow?. The first trailer for Rogue One: A Star Wars Story debuted on April 7, whetting appetites for the film ahead of its December 16 release date. It introduced us to Felicity Jones’ character, who unites with a rogue band of resistance fighters to embark on a daring mission to steal the Death Star plans. The teaser also confirmed the return of Genevieve O’Reilly as Mon Mothma (who first played the character in deleted scenes from Revenge of the Sith). Before anyone asks where the Bothans are, they were responsible for stealing the plans to the second Death Star. 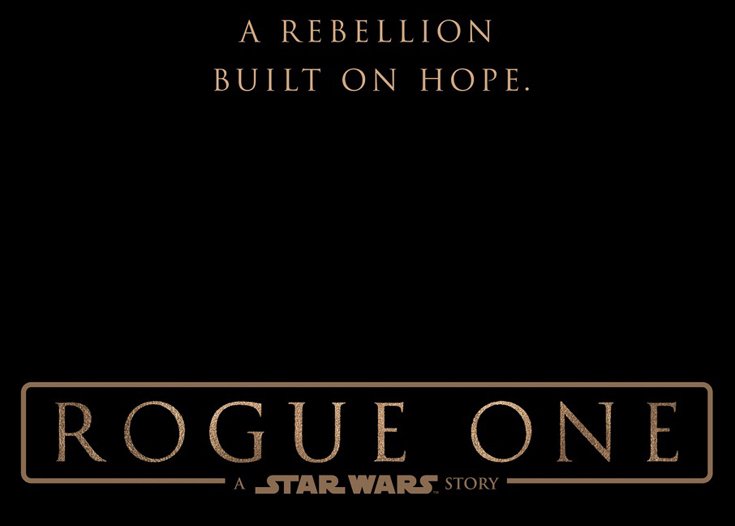 Rogue One: A Star Wars Story, or simply Rogue One, is an upcoming American epic space opera film directed by Gareth Edwards and written by Gary Whitta and Chris Weitz, from an idea by visual effects supervisor John Knoll. It will be the first Star Wars Anthology film, a stand-alone story set in the Star Wars universe, and will star Felicity Jones, Diego Luna, Riz Ahmed, Ben Mendelsohn, Donnie Yen, Jiang Wen, Forest Whitaker, Mads Mikkelsen and Alan Tudyk. Set shortly before the events of A New Hope, the story will center on a group of Rebel spies on a mission to steal the plans for the Galactic Empire's new weapon, the Death Star. 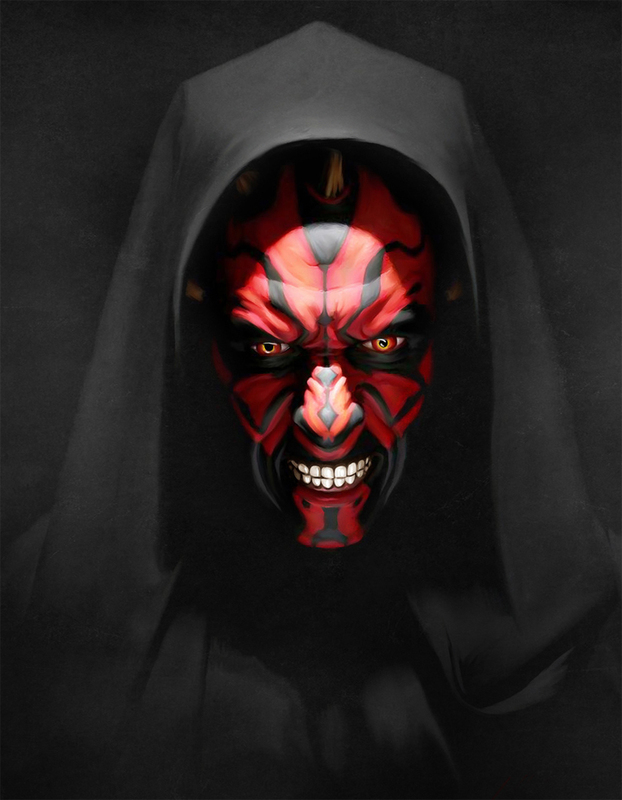 Darth Maul, later known simply as Maul, was a male Dathomirian Zabrak Sith Lord who lived during the waning years of the Galactic Republic and the age of the Galactic Empire. Maul was born to Mother Talzin of the Nightsisters and was raised as a Nightbrother on Dathomir, before being taken by Darth Sidious as his apprentice. Sidious shaped Maul into a weapon of the Sith to bring about the downfall of the Jedi Order, and Maul revealed himself and the Sith to the Jedi during the Invasion of Naboo, part of Sidious' plot to take over the Republic. During the Battle of Naboo, Maul fought in a lightsaber duel with Jedi Master Qui-Gon Jinn and Padawan Obi-Wan Kenobi. Maul killed Jinn, but the Sith Lord was grievously wounded by the Padawan and fell into the depths of a Naboo reactor shaft. The lightsaber, sometimes referred to as a laser sword, was a weapon used by the Jedi and the Sith. 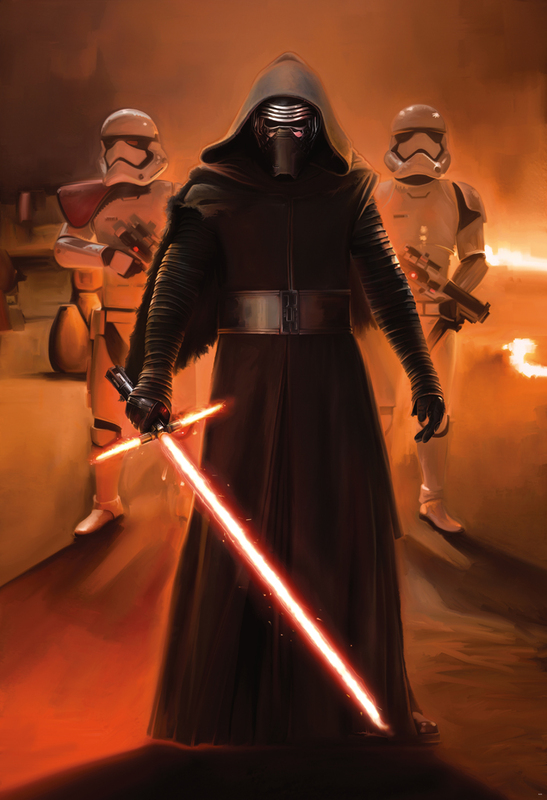 Lightsabers consisted of a plasma blade, powered by a kyber crystal and usually emitted from a metallic hilt. It was a weapon that required skill and training, and was greatly enhanced when used in conjunction with the Force. Though also used by the Sith, the lightsaber was synonymous with the Jedi, with some in the galaxy believing only Jedi used lightsabers. Lightsabers were generally used both for combat and defense. 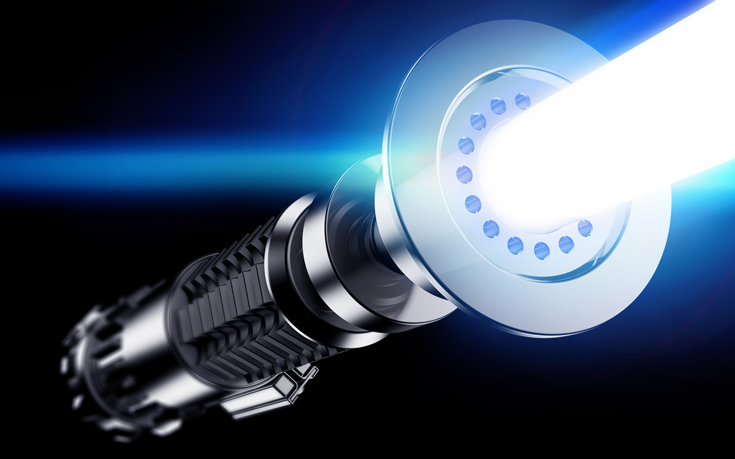 A lightsaber could cut through virtually anything, from enemies to blast doors. The only ways to block the incoming attack of a lightsaber was with a weapon made with material that conducts energy such as an electrostaff or Z6 riot control baton, or another lightsaber. 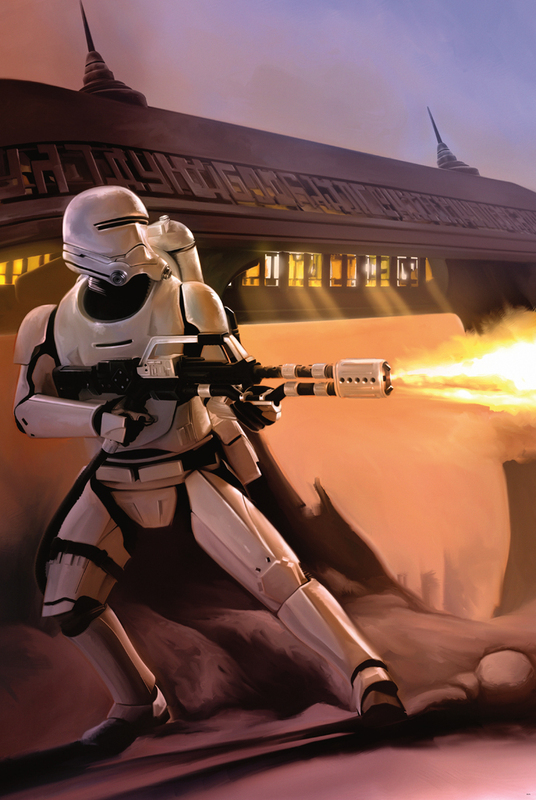 When used defensively, a skilled user could deflect blaster bolts with a lightsaber, and even reflect the shots back toward the shooter or some other target. Experienced Jedi could even employ their lightsabers to absorb Force lightning. Most practitioners used one single-bladed lightsaber, though some used double-bladed lightsabers or even multiple lightsabers at once. In this principle, be sure to recognize your fears, acknowledge them followed by move through them. made good content material as you probably did, the internet can be much more useful than ever before. a jerk, they'll adopt your attitude simply so you'll agree to them. to really watch it. Fooling a search result is becoming harder. it is time to be happy. I have read this publish and if I may I want to recommend you few attention-grabbing things or suggestions. info right here within the put up, we want work out more techniques on this regard, thank you for sharing. only use web for that reason, and get the hottest information. I simply could not go away your web site prior to suggesting that I really enjoyed the standard info a person provide to your visitors? Every single bookmaker has its own personal payout guidelines to the situation after the occasion did not simply take spot. Players use dice clockwise amongst gamers in order that every player will get a chance to become a shooter. You need to focus on techniques and techniques from the specific game you like. I just couldn't go away your web site prior to suggesting that I really enjoyed the usual info an individual provide in your visitors?